You can easily adjust the frequency of your popup's display from the popup wizard. Tick "more display options" to open advanced options, and change the frequency of the display according to how often you would like to display the popup. 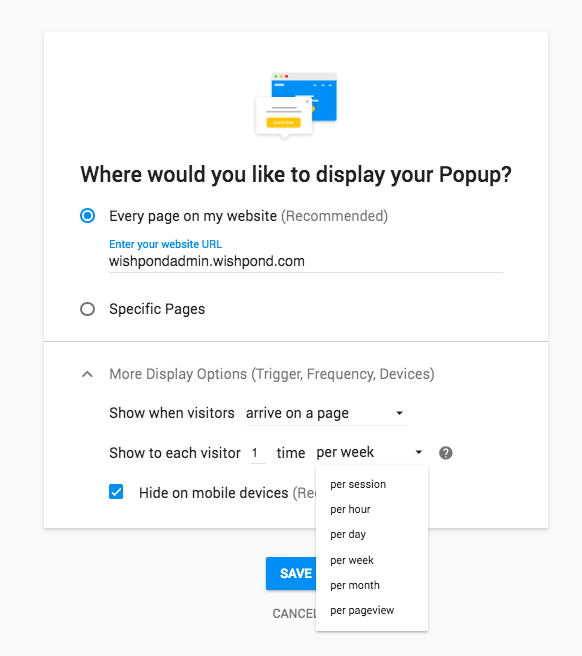 When a user converts on your popup once by submitting his or her info on the form, the same popup will no longer display to that particular user even if he comes back to your page again later on.